Associated CU is on the move!!! 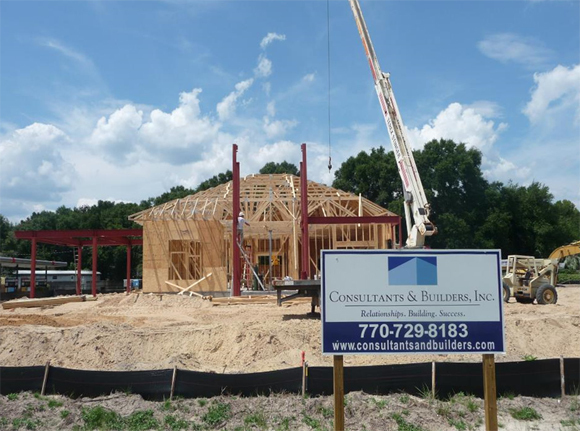 Consultants and Builders, Inc. has been contracted to design, build and furnish a new prototype branch located in Ellenwood, GA. The new branch will be the first free standing building built in many years and will utilize Teller Pods, ITM’s, heavy marketing and digital displays and contemporary furnishings. The interior space will mimic a newly designed branch located in Decatur. Along with these projects, CBI will also add ITM’s located in a new drive-thru at the credit union’s main office and design and build a 200 sf branch where middle school students will have an opportunity to learn money management skills as they practice the process of opening a mortgage, shop, eat and play with a fixed budget. CBI has a proven track record of handling small and large projects across a geographic area simultaneously and provides full project management services while using local subcontractors. We are proud to be working with Associated Credit Union on multiple projects and are working diligently to ensure their strategic growth initiatives are a huge success. 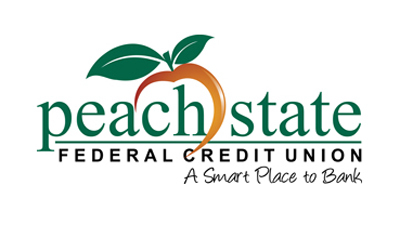 Peach State FCU has chosen CBI to renovate a branch located in the Richmond County Board of Education building located in Augusta, Georgia. 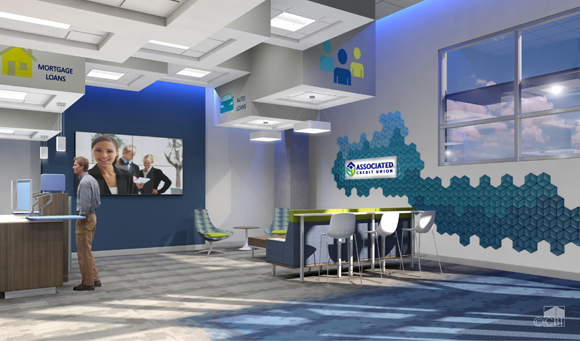 This 1,800 square foot branch will be refitted with LED lighting, a full service ATM, Member Dialogue tower, Teller assist POD with 2 member service points, a new break room and refreshment bar. The interior will have a similar look to Peach State’s branch located in Watkinsville, GA. CBI will commence the work in June while school is out for summer break. The renovation is scheduled to take 30 days which will allow the credit union to be back up and fully running once the new school year begins. 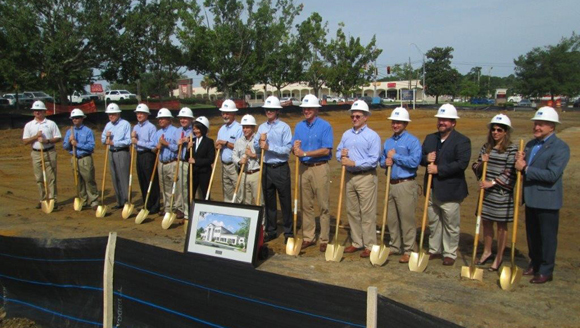 Associated CU recently chose CBI to design and build their first high tech, high end retail branch in Decatur. It will be 2,200 sf in a new retail center on East College Avenue. Highly visible from the road and other outdoor areas, this branch will be well lit utilizing the latest LED has to offer and will have dynamic displays and marketing throughout. It will have two teller Pods replacing the traditional looking teller line to assist members. Other amenities will include a 24- hr vestibule with a full-service ITM and refreshment bar. 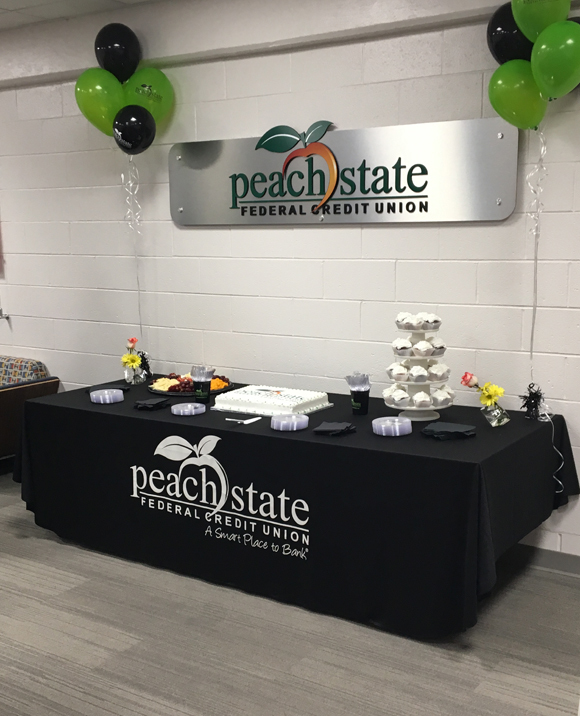 Peach State Federal Credit Union celebrated the future home of their newest branch in downtown Lawrenceville with a groundbreaking ceremony attended by credit union Board and staff members as well as representatives from the city. The branch will be constructed on the property between North Pike Street and North Clayton Street by Consultants & Builders, Inc. (CBI). Construction is set to begin in the coming weeks and is slated to be completed in fall 2018. The new branch will feature state of the art teller pods with a goal of providing faster, more efficient service to members. Staff from the existing branch in downtown Lawrenceville will transfer to the new branch upon its opening. Peach State Federal Credit Union selected CBI to design and build a new prototype branch which will be located in Lawrenceville, GA. 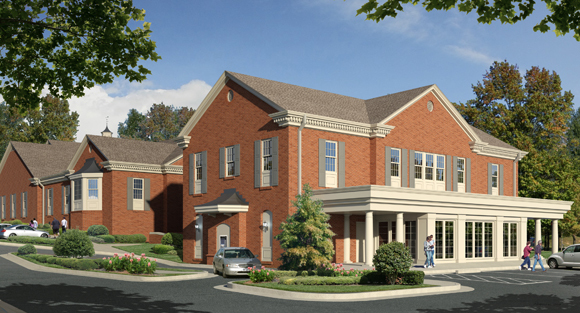 The building will feature a transitional, brick exterior with metal roof accents. The interior of the branch will include four offices, two lobby ATMs, two teller pods, a lobby waiting area and breakroom. Southwest Georgia Bank held a ground breaking ceremony today for its new 9,000 sf branch which will be located in Tifton, GA. CBI is designing and building the new branch. 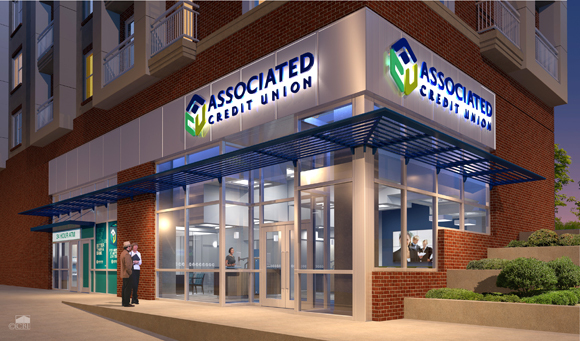 Associated Credit Union recently awarded CBI a renovation project for a 3,700 sf branch located in Peachtree Corners, GA. Renovations will include new LED lighting, teller pods to replace the teller line, new carpet and furniture. 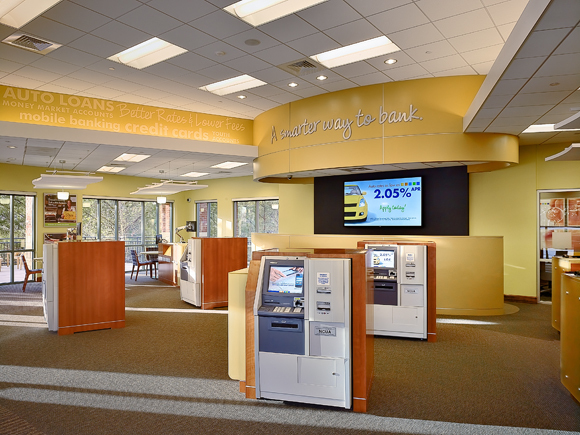 LGE Community Credit Union recently awarded CBI a micro branch project in Marietta, GA. 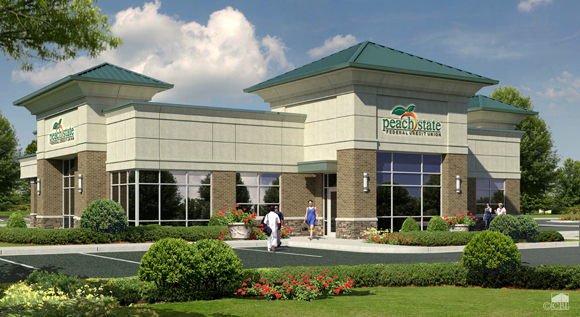 The new, 2,065 sf micro branch will be located in the Parkside West Cobb shopping center. Two Intelligent ATM’s will be used in the lobby for their delivery method as well as a 24-hr walk-up ATM. This branch will operate with three to four employees using telepresence to discuss investments with experts housed in the main office. Instant issue credit cards will be available to members for added convenience. Additional features for members will be incorporated including music playing throughout the space, coffee and filtered water. 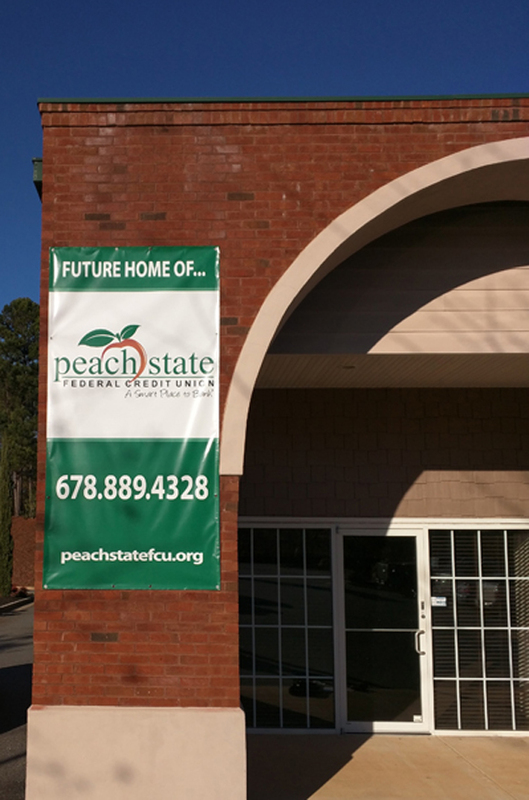 Peach State Federal Credit Union recently awarded CBI a tenant build-out project for a new, 1,700 sf branch which will be located in Oconee County. Included in the branch will be two intelligent ATMs as well as two dialog towers. “We have served this community since 2009, and know that a brick and mortar location in this area will make banking for these members more convenient. We envision this to be a ‘branch of the future’, featuring member service and business development representatives rather than a traditional teller line. 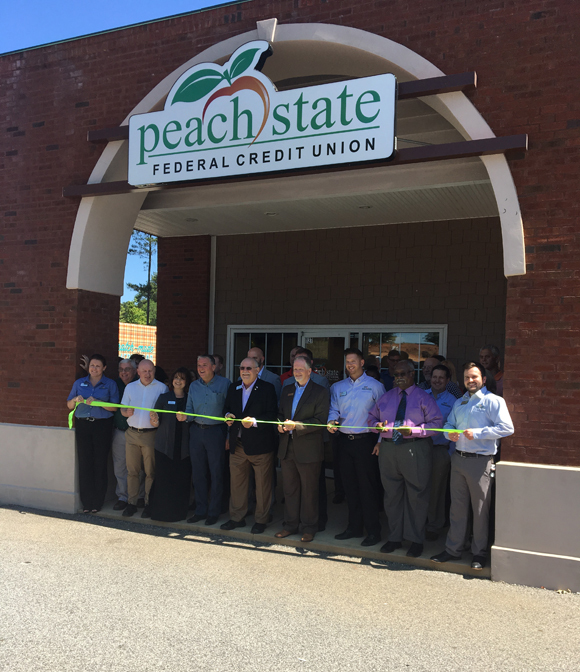 Representatives will assist members in finding the products and services they need for their individual financial needs,” said Marshall Boutwell, President/CEO, Peach State FCU. 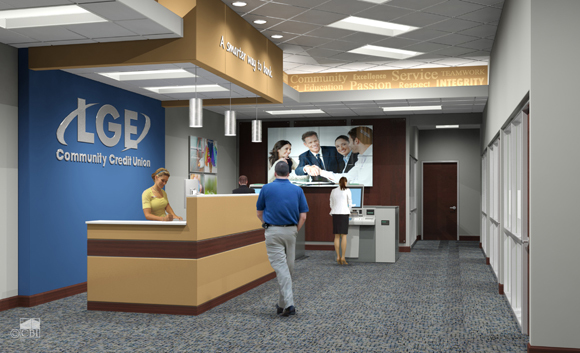 Southwest Georgia Bank has chosen CBI to renovate the teller areas of five branches. CBI will modify or replace the teller lines to accept teller cash recyclers. The branch renovations will also include millwork, new carpet and paint. During the remodeling, the branches will remain open for normal operations. CBI is able to handle small and large remodels across a geographic area simultaneously and provides full project management services while using local subcontractors. 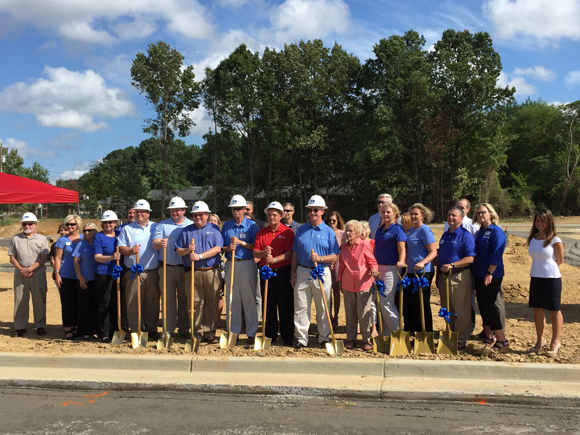 Family Savings Credit Union recently held a ground breaking ceremony for its new 4,300 sf branch which will be located in Calhoun, GA. CBI is designing and building the branch. The project is scheduled to complete around the 1st quarter of 2017. 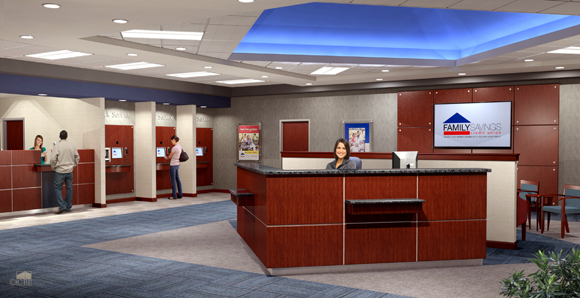 LGE Community Credit Union recently selected CBI for a 6,500 sf renovation project to the credit union’s main office branch and lobby located on the first floor of their five story building in Marietta, GA. The branch will feature the new retail business model for LGE incorporating advanced function ATMs for handling all transactions. 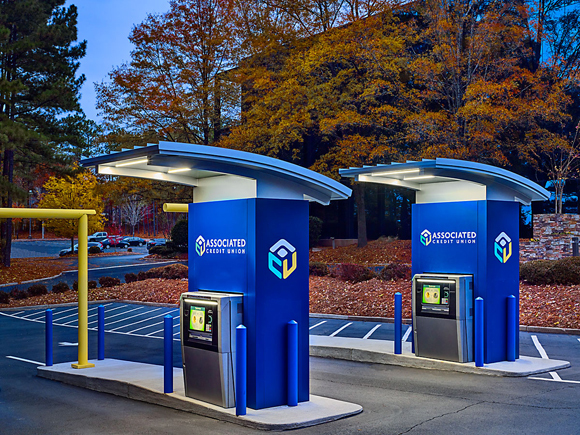 The traditional teller line will be eliminated and the drive up tellers will be replaced with 24-hour full-service ATM’s in each lane to give members added convenience. 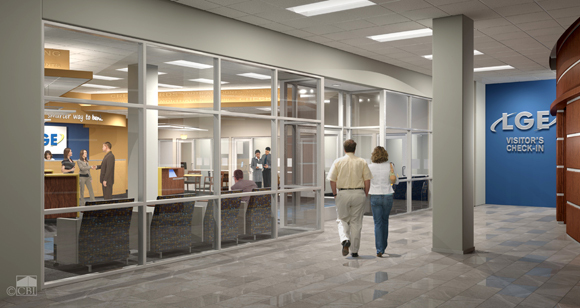 The lobby will welcome members with a meeter/greeter station where an employee can approach members to provide personal service. In addition, a new mail room for shipping & receiving will be developed on the first floor adjacent to the branch. Construction is scheduled to begin in the 4th quarter of 2016. 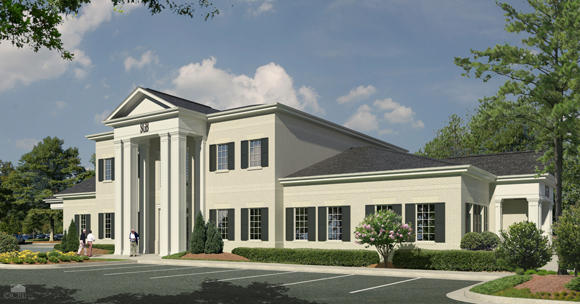 CBI was recently selected to design and build a new 9,000 SF branch for Southwest Georgia Bank. 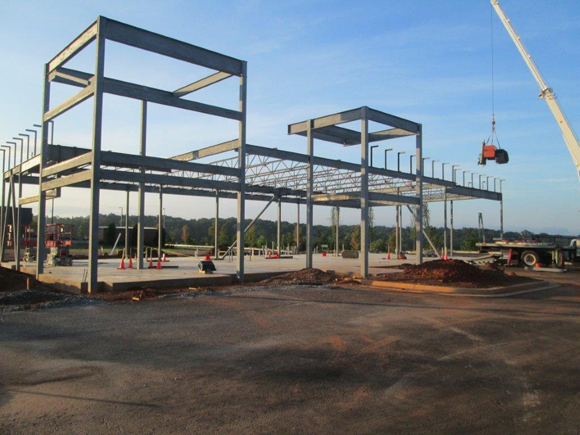 The new branch, which will be located in Tifton, GA, will be the 6th project CBI has completed for SGB. Interior features will include a lobby and teller pods using cash recyclers in addition to a large community room which can be used for hosting employee and community events. 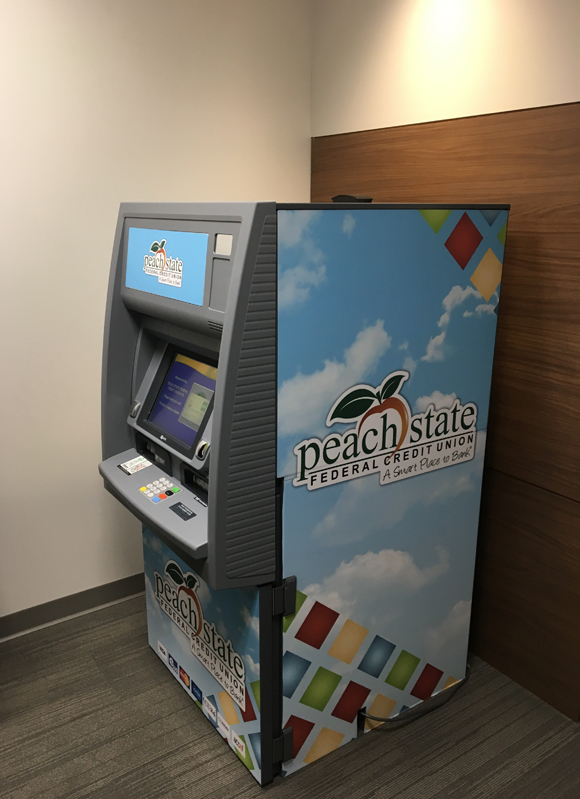 CBI was recently awarded the contract to design and build a micro-branch for Peach State FCU in Central Gwinnett High School. Design is underway and the project will commence while school is out for the summer. This branch will consist of a teller-pod delivery system accompanied by a full service ATM. This branch will be teamed up with an entrepreneurial business program developed for the students with onsite bank training. The focus is to serve the students as well as teachers and staff. 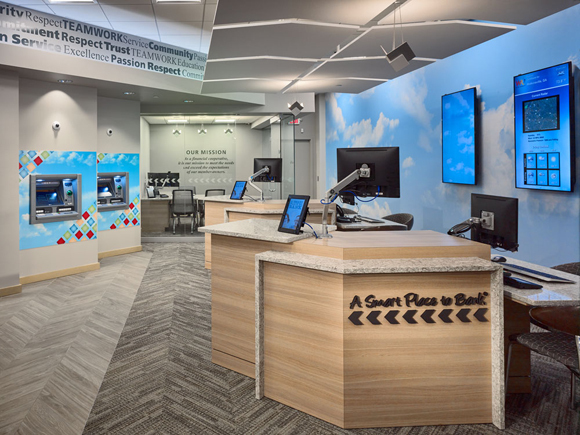 LGE Community Credit Union in Marietta, GA was recently honored with an Excellence Award, which recognizes innovative solutions optimizing credit union performance. The award was presented by the Credit Union National Association (CUNA) Operations, Sales & Service Council, a national network comprised of more than 900 credit union operations, sales & service professionals across the United States. Awards are given in each of four categories, including Sales & Service Management, Branch Design, Contact Center/E-Support, and Miscellaneous. LGE Community Credit Union won the Miscellaneous category for its entry, entitled “A Smarter Way to Bank.” The evolution of a modern branch that offers convenient, efficient banking with an enhanced member experience. The entry focused on LGE’s success within the last five years of offering new and innovative technology and delivery channels, designing and operating more efficient branches, and developing and growing front line staff while growing in asset size and improving overall efficiency. This approach has led to 19% loan growth and 5% member growth from 2013 to 2014. 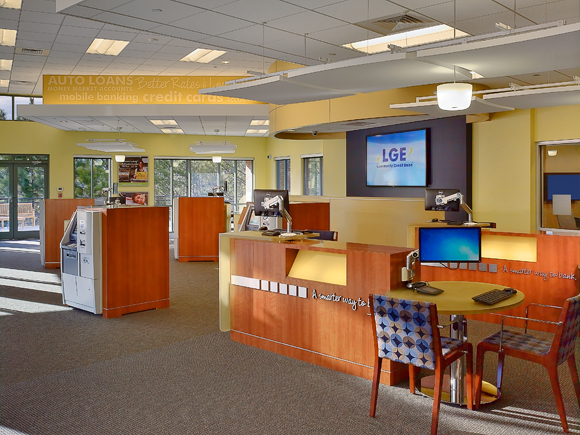 CBI has performed design-build or renovation services for all of LGE Community Credit Union’s facilities. 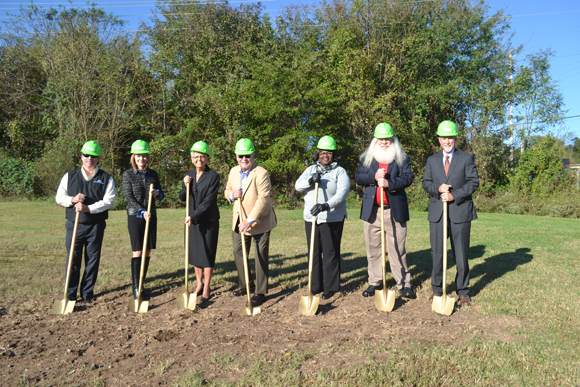 The credit union’s sixth branch in Canton, GA is currently under construction and scheduled to be complete in December. “We are very proud of our relationship with a credit union such as LGE Community Credit Union that provides such a vital contribution to the community. It has been a pleasure to work with this team of experienced bankers and community leaders and we look forward to continuing our partnership with them, said Tyler Williams, President, Consultants & Builders, Inc. (CBI). 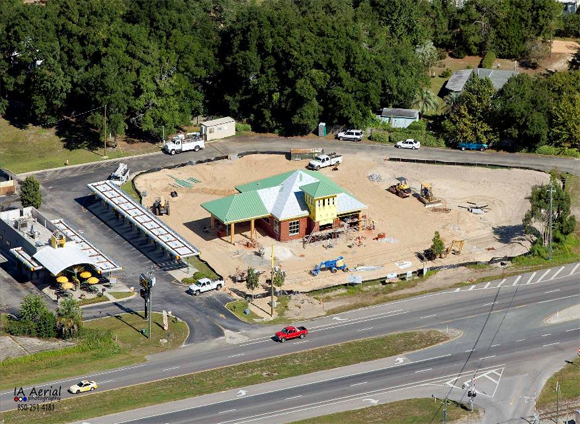 CBI is making progress on Panhandle Educators FCU’s new branch which will be located on Hwy 231 in Panama City, FL. 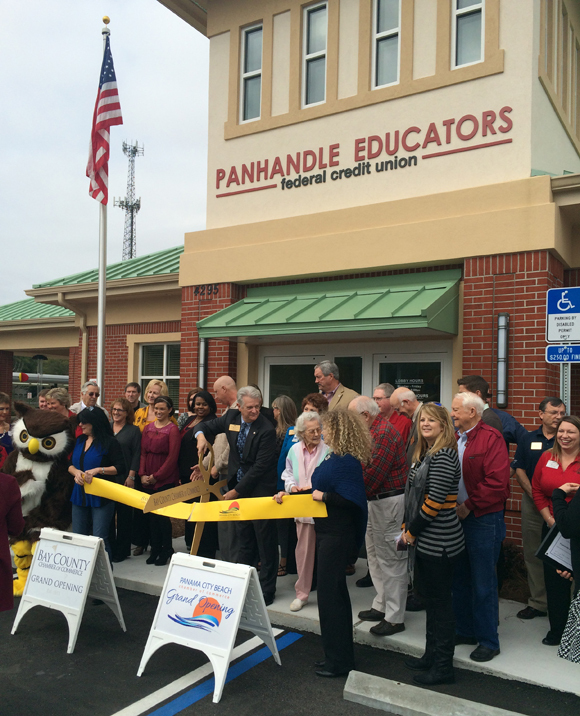 Panhandle Educators Federal Credit Union’s newest branch is under construction. 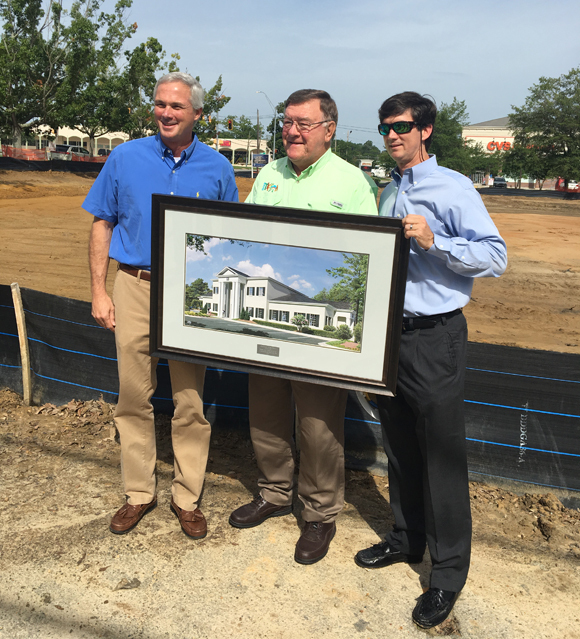 The credit union has worked with CBI on all of their facility projects since 2003, including numerous new branches, renovations, and build-outs. 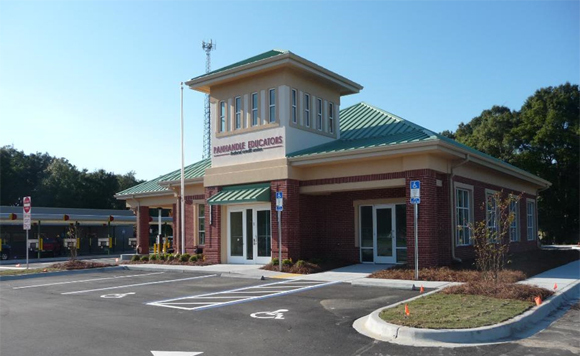 This new branch located in Panama City, FL will feature a relatively compact but attractive retail banking area with a three position teller line and two offices. 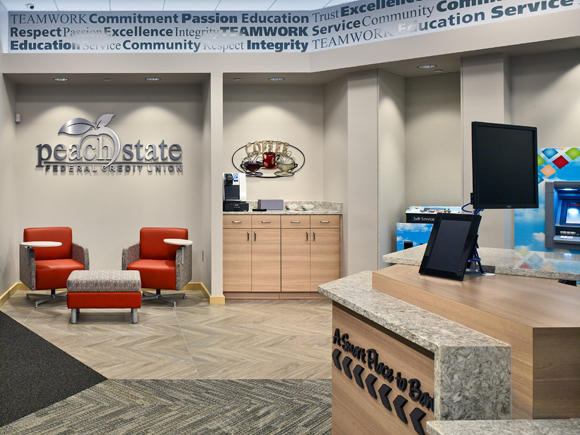 The decor inside and out will reflect the brand of the credit union which has been reinforced through the years in the other projects CBI has completed for the credit union. Two drive-thru teller lanes will also be included. 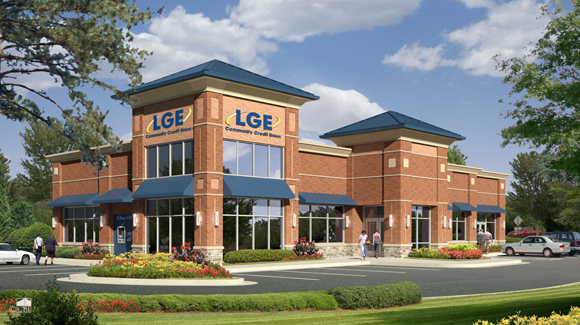 LGE Community Credit Union’s newest 4,000 sf branch which will be located in Canton, GA is under construction! It’s one thing to design a branch to meet the needs of today’s consumer. It’s another to anticipate how brick-and-mortar facilities will be used in five, 10, or 25 years. In the second part of our discussion of the evolution of credit union branches, Credit Union Magazine sought insights on this topic from Mark Maness, executive vice president of Consultants & Builders, Inc. (CBI), Norcross, Ga., and Lisa Darling, assistant vice president of human resources/quality assurance research & development at Visions Federal Credit Union, Endicott, N.Y. Farmers State Bank is a 100 year old community bank based in the small east Georgia town of Lincolnton, with a branch in neighboring Washington. Over the years, the bank outgrew its 40 year old main office in Lincolnton and decided to look at options to expand and renovate the existing building. After interviewing numerous firms, CBI was chosen to design and build the new facility, largely due to CBI’s experience with complex renovations and additions involving multiple stages of construction while also having the ability to keep the bank open and the employees safe. The finished facility will include an addition of 5,000 sf and the original 10,000 sf facility will be completely repurposed and updated throughout. The addition will be located behind the existing facility and will be connected with a bridge from the main level of the retail branch. The two-story addition will include operations, a community room, the employee break room and kitchen. The space is scheduled to be complete in late 2015. 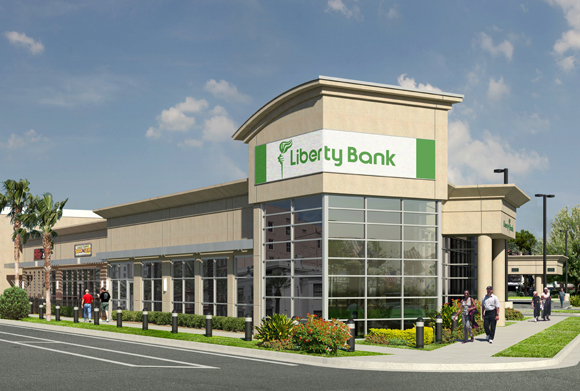 Liberty Bank is a multi-facility client of CBI. 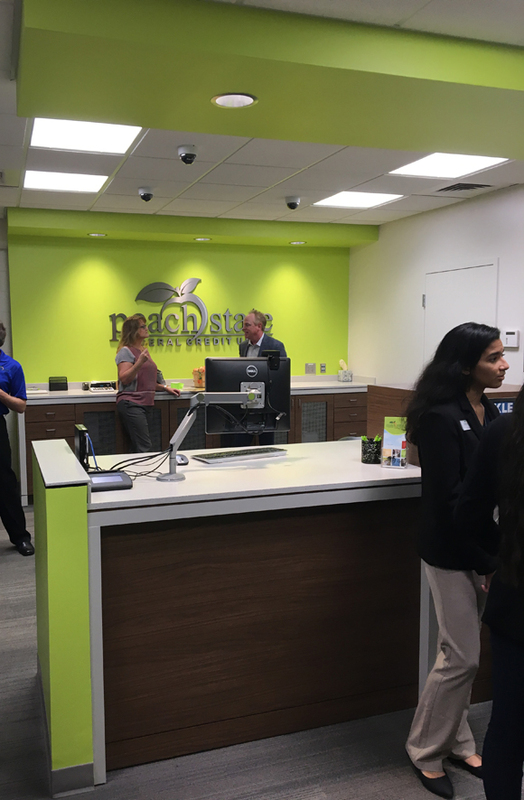 The new branch will be located in New Orleans, LA and is a new concept for the bank that will incorporate a high-tech branch with retail space to be leased. 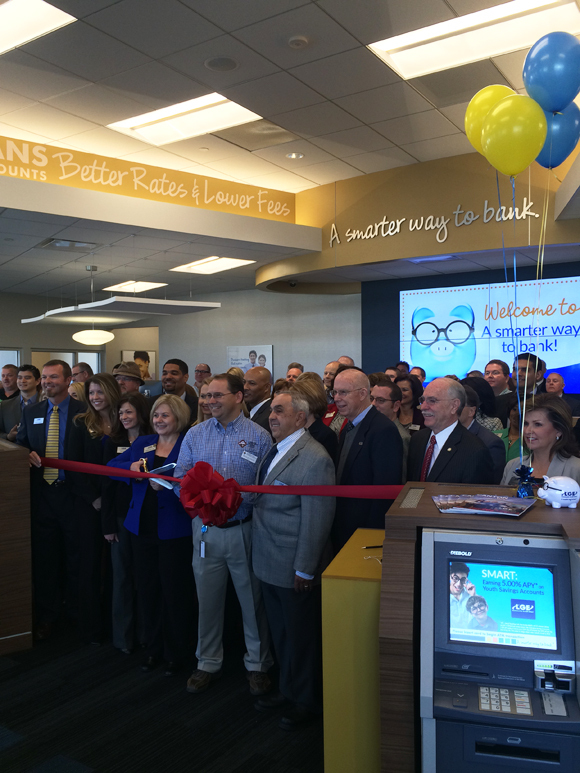 The 6,000 SF facility will include a 2,000 SF branch and three leasable retail spaces in the remaining 4,000 SF.The bank branch will incorporate all of the latest in technology improvements including video conferencing and micro location to identify customers as they enter the branch so that bank personnel can tailor their conversation to the needs of the client. The facility will be contemporary in decor, featuring glass walls and will also include a remote drive-through with two-way audio/video connections. With customers doing many transactions online, banks are spiffing up branches to lure them back inside. Been inside your neighborhood bank branch lately? If you’re like many people, probably not. But if you were to venture in, you would probably be surprised.